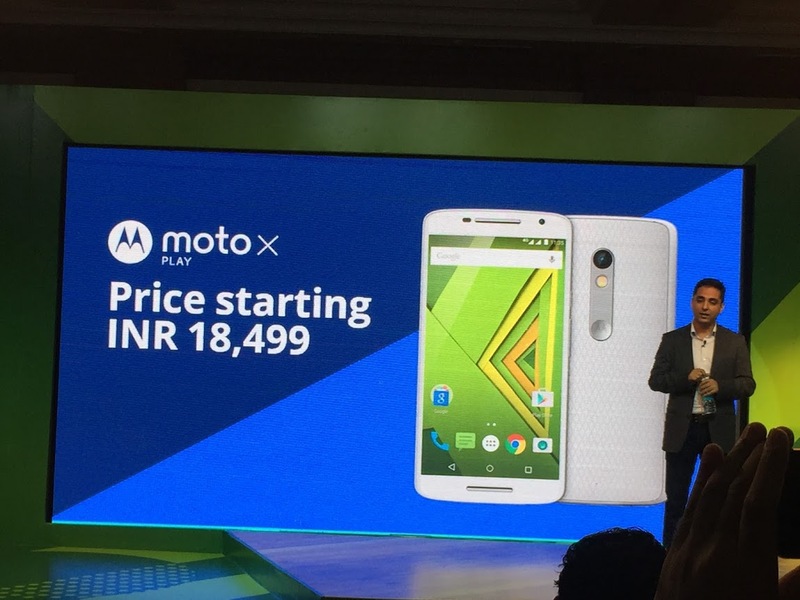 Motorola launched its much awaited smartphone, the Motorola Moto X Play in India. Speaking at the launch earlier today, Amit Boni, General Manager at Motorola India, said that the Moto X (Gen 2) will be slowly phased out in the country and the Moto G 3rd Gen is the fastest selling phone on Flipkart, which has sold 40 percent more than previous models. The Android 5.1.1 Lollipop-based Motorola Moto X Play smartphone features a 5.5-inch Full-HD display (1080*1920 pixels) offering a pixel density of 403 ppi and is protected by Corning Gorilla Glass 3. It boasts a 21 Megapixel rear camera which comes with f/2.0 aperture and CCT (Colour Correlated Temperature) dual-LED flash and is capable of recording 1080p HD video at 30fps. On the front, you’ll find a 5 Megapixel camera. Powering the Moto X Play is a 1.7 GHz Qualcomm Snapdragon 615 Octa-core processor with a Adreno 405 chipset that comes with 2 GB of RAM and 16 GB / 32 GB storage options with the ability to upgrade upto 128 GB via microSD. The phone comes with a reasonable 3630 mAh battery, which should easily last over a day with normal usage. It also features Quick Charge support which can deliver 8 hours of usage with just 15 minutes of charge! However, the Turbo Charger is not included in the box and can be purchased separately for INR 1000. 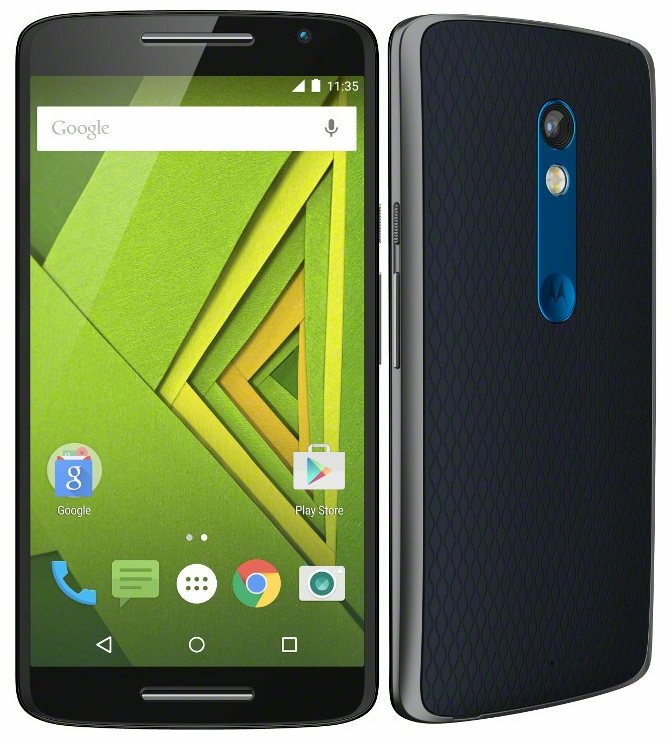 The Moto X Play measures 148 x 75 x 10.9 mm and weighs 169 grams which is not as heavy as one would imagine. 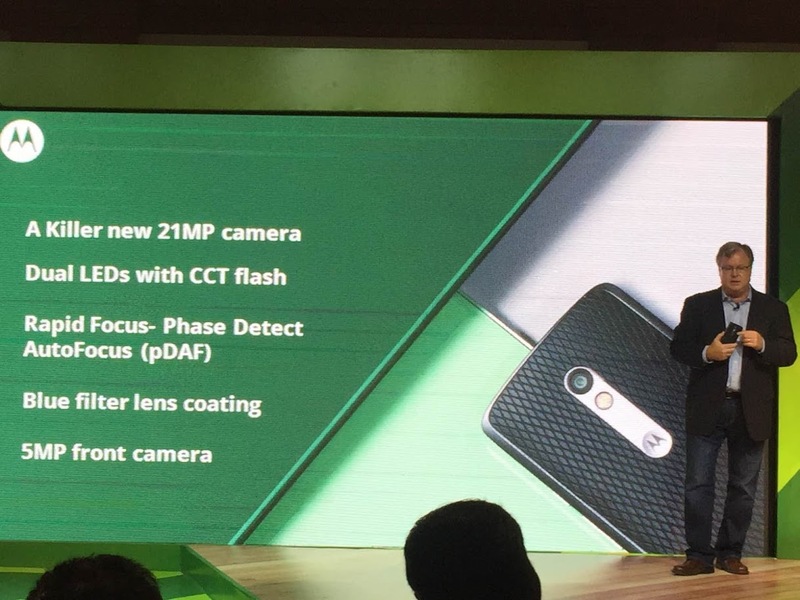 Like most of the Moto devices, the Moto X Play also features a water-repellent nano coating. The Moto X Play will be available in Black and White colors and the 16GB and 32GB variants are priced at INR 18,499 and INR 19,999 respectively which will go on sale via Flipkart, their official online retail partner.